If there’s one thing us Brits excel at, it’s waiting. We understand that it sometimes takes 15 years for whisky here to taste nice, and we can form an orderly queue like we were born to do it. But I’ll let you in on a secret – underneath that tight-lipped facade, we’re just as impatient as the rest of the world. It’s a relief, then, that the good folks at Woodford Reserve Bourbon have been working with some of the UK’s best bartending talent to craft a bespoke cocktail syrup that balances the core flavours of this timeless serve – bitters, sugar and orange essence – because if there’s one thing for which we hate waiting for the most, it’s a cocktail. 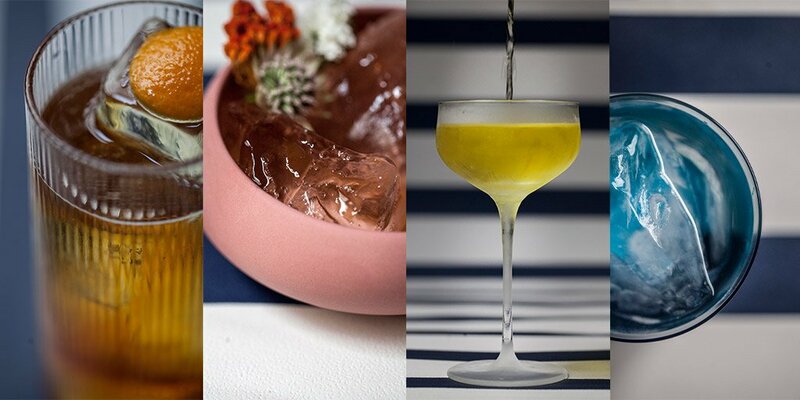 “The Old Fashioned is a favourite with the public and bartenders alike, ranking as the world’s best selling classic cocktail and featuring on nine out of 10 of the world’s best bar menus,” Emily Richardson, head of super premium brands at Brown Forman, told Master of Malt. Oh, and to make the whole process even quicker, Woodford Reserve has launched a barrel programme that enables bartenders to pre-batch the drink on-site – so keep your eyes peeled for two-litre cask on the bar. Now, efficiency isn’t really an issue when you’re making drinks for your pals at home, but following complicated bartender drinks specs can be. It’s often an exacting task that requires, skill, equipment, and multiple boozes and syrups that frankly, you might not use for another six months. It would be remiss to begin with any other cocktail, really. Put your faith in the trustworthy folks at The Handmade Cocktail Company and nab this pre-batched bottling to make serving this classic drink a doddle. Pour over ice, stir, and then garnish with a twist of fresh orange peel, it’s as easy as that. It won’t wash the glass up for you afterwards though – you have to do some of the legwork I’m afraid. Making a G&T is much like making a cup of tea – we’re super fussy about the ‘best way’ to make it (for the record, it goes tea bag then water then milk). This concentrated tonic syrup from the folks at London gin bar 214 Bermondsey is the solution to your flavour woes. Simply mix it with carbonated water to your taste, add gin, ice – and a garnish if you feel fancy – and voilà: the ultimate serve. The Espresso Martini isn’t exactly the easiest (or cheapest, let’s face it) cocktail to replicate at home, especially on the fly. Thankfully, her good self Lady Tipplesworth has the remedy: a ready-made mixer made with cold brew coffee. Fill a cocktail shaker with ice, add 50ml vodka and 50ml mixer, then shake, strain, and serve. Coffee bean garnish optional, Instagram upload essential. Sometimes you’re better leaving it to the experts, amiright? And if there’s one guy who knows a thing or two about ready-made drinks, it’s the living legend that is bartender Ryan Chetiyawardana. What with him launching what was essentially the world’s first bottled cocktail bar back in 2013 and all that. Anyway, his mix of gin, citrus and olive distillates, and vermouth easily puts our amatuer Martini-making efforts to shame. Thanks to the citrus hit, you don’t even need to add a garnish – just freeze, pour, and enjoy. Who wants to shell out on triple sec and fruit, when you could just crack the lid of this Margarita Mixer? To be clear, this is a BYO Tequila affair. Sure, the good folks Cuervo probably envisaged you using – I don’t know – Jose Cuervo Tradicional Silver, or something, but if you choose to use another brand we promise we won’t dob you in. Just combine one part Tequila with three parts mixer, stir and serve over crushed ice. As the saying goes, there’s “No Negroni without Campari” – something we imagine the Italian owners of that bitter red liquid continue to be absolutely delighted by, given the drink’s recent resurgence. When aperitif started attracting some serious bartender heat, the folks at Gruppo Campari went the whole hog and combined their beloved booze with London dry gin and (we can only assume) Cinzano Rosso vermouth. The most you’ll have to do is slice an orange.